CES 2014 Highlights: Day 1 | What Hi-Fi? As CES 2014 gets underway in Las Vegas, US, we round-up the highlights from the first day - including the new products to emerge at CES Unveiled. The "invisible" ClearView Audio Clio wireless Bluetooth speaker and a 105 inch curved LED 4K TV from LG are among the new products unveiled as this year's International Consumer Electronics Show (CES) got underway in Las Vegas, US. The whathifi.com team are at CES 2014 to bring you the latest product launches, news and speeches, with CES Unveiled yesterday (Sunday) marking the start of the world's biggest consumer technology showcase. 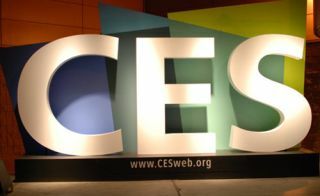 Other news from the opening day of CES 2014 includes the announcement that Roku is to launch its own TVs with the Roku Channel Store smart TV platform inside and the unveiling of Yurbuds' Inspire Limited Edition Wireless in-ear Bluetooth headphones. CES is set to be a battle to see who can deliver the most headline-grabbing TV, with LG staking its claim with a 105in, 21:9 aspect ratio, curved LED, 4K Ultra HD TV. The flagship LG105UC9 comes with a 5120 x 2160 "5K resolution" and a "7.2 multichannel sound system" supplied by Harman Kardon - part of LG's new Ultra Surround concept. whathifi.com will be at the LG press conference at 8am Las Vegas time (4pm, UK) to see the new TVs in action, and to bring you news of all the products from the LG stand. One of the more eye-catching speakers to emerge at CES Unveiled 2014 is the "invisible" ClearView Audio Clio wireless Bluetooth speaker. The speaker uses a 1mm thin sheet of acrylic glass to create the sound, with the electronics housed inside a compact base unit alongside a 2in woofer and stereo dipole speakers. The ClearView Clio - sure to be one of many Bluetooth speakers at CES 2014 - supports Bluetooth for wireless music and has a 3.5mm minijack connection to support wired devices. Pure has revealed that its Jongo wireless stereo and multi-room music system can now be used with any music streaming device - including Spotify and Rdio. The expansion of the Pure Connect platform will let you stream any audio or radio app to multiple Jongo speakers throughout the home using Caskeid technology. Pure is rolling out Caskeid technology to deliver audio content to Jongo speakers using a combination of Bluetooth and wi-fi. Roku is to launch its own Roku TVs featuring the Roku Channel Store smart TV platform, which delivers 450 channels in the UK such as BBC iPlayer, Netflix and Now TV. The new TVs will be built in conjunction with Hisense and TCL - two of the largest Chinese TV manufacturers - and will be delivered in sizes ranging from 32 to 55 inches. Roku TV will feature just 20 remote-controlled buttons in an effort to simplify the navigation process, and will also work with mobile devices via the Roku app for iOS or Android. American company Yurbuds has announced the launch of a new set of wireless in-ear Bluetooth headphones - the Inspire Limited Edition Wireless. The new earphones come with 15mm drivers and onboard buttons for volume, track and call control, with Yurbuds claiming battery life lasting up to six hours. The buds feature flexible tips that promise not to hurt your ears, while Yurbuds' TwistLock system "guarantees" the Inspire Limited Edition Wireless will never fall out of your ears. Seiki has launched the U-Vision HDMI cable and adapter - accessories that upscale 1080p HD content to 4K Ultra HD resolution. Due to go on sale in Q1 2014 in the US with a price tag of $40, the cable will up-convert 1080p to 4K and 720p to 1080p. An up-conversion adapter will follow in Q2. The Seiki cable also claims "real-time detail enhancement, edge restoration and noise reduction". Dream Audio has launched the new Dream One multi-directional speaker, which boasts a wide variety of connections - including aptX Bluetooth, wi-fi, USB and AirPlay. The speaker features a 2in aluminium cone, a 4in paper cone subwoofer and a 5in passive radiator, with the highlight being Dream's proprietary 'Sound Array Module'. Due to launch worldwide in Q3 2014 for $599, we'll be keeping our eyes peeled for the UK release date and price for the Dream One. Details have already started to emerge about Samsung's 2014 AV line-up - even before the official Samsung press conference today (Monday) at 2pm Las Vegas time (10pm, UK). It appears the Korean electronics giant will be going big on wireless speakers and systems this year, with two new speakers and a wireless soundbar among the expected launches. A new Blu-ray/valve amp 7.1 surround sound system with wireless rear speakers and the HW-H610 Sound Stand - Samsung's variation on a soundbase - are also due to be unveiled. whathifi.com will be at the Samsung press conference to bring you the very latest news as it happens at CES 2014. Stay tuned to our Twitter and Facebook for more.